If you attend a semestered school, we’re looking at your grades in your top six required courses from your fall semester finals and current semester midterms. Your offer will appear on OUAC first. We'll then send you a package in the mail within the days following! 3. We’ll be reconsidering you for your first choice. If you’ve previously received an alternate offer, we’ll be considering you for your first choice in this third and final round. 4. We’ll also review your other program choices. If you’ve applied to more than one program at the U of G, we’ll be considering you for those in this round (if you’re not admissible to your first choice or the alternative program, if applicable). 5. Applicants to Bachelor of Landscape Architecture: this is your round! All offers for the Bachelor of Landscape Architecture program will be sent out during the third round. 6. You'll receive final communications from us outlining your offer. Received an alternate offer and then an offer to your first choice? Confused about what program you're being admitted to? Before the June 1st deadline, we'll eliminate all confusion and clearly outline the specifics of your offer and what it entails. Estimated cut-off ranges are based on the admission averages from the previous three years of admitted students and are just point of reference. Please know that we will not be able to disclose exact cut-offs. Once you have accepted your offer of admission for September 2018, we will send you a registration package in the mail with instructions on how to login to WebAdvisor and register for courses. After June 1, you'll receive ongoing communications from departments across campus about things you need to be aware of, upcoming important dates, on-campus services and so. much. more! Remember to join Student Life's STARTonline after June 1st, too! Received an offer of admission from the U of G? Join us for your program’s Spring Academic Open House the week of May 14th. Don’t miss your chance to tour residence, our athletic centre, and study spaces and attend information sessions and sample lectures. These open houses are tailored to your program of choice and designed to help you decide if you are a #futuregryphon. Register to attend your Spring Academic Open House today (list below)! Note: Spring Academic Open Houses are for those students who have received an offer of admission. At U of G, we believe that getting involved on campus sets the stage for making a difference in the world, which is why there are so many opportunities to get involved both on and off campus. We’re breaking SOME of these down today. Fact #1: We’ve got clubs and student organizations galore! We know it’s important for you to find friends with similar interests in university. Luckily we have a club or student organization for many different interests, philanthropic causes and academic programs. There are too many clubs and student organizations to list so we recommend checking out the CSA website to discover them! If there is something specific you are looking for you can also search keywords or browse by category on the Gryph Life website. Maybe you’re looking to carry your student government interests from high school into university, or maybe you’d like to break into a leadership role. Either way, we’ve got you covered with various on-campus student governments. When you come to U of G, you are part of a community. Whether you want to mentor youth in an afterschool program or support other students on campus, Student Life will help you find experiences that fit your interests, availability and goals! We offer over 20 intramural sports a year and you can try as many as you like! 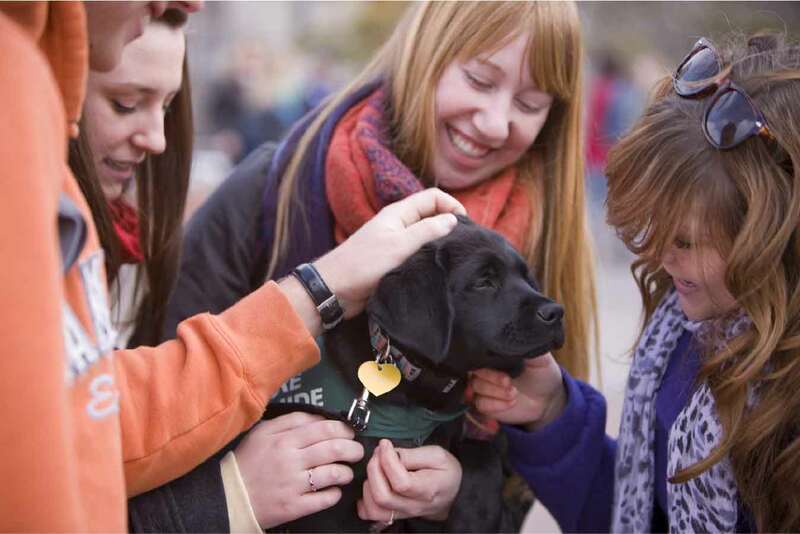 Join a team with a group from residence or class; or join solo to meet some new friends. We’ve also got over 20 sports clubs and more than 30 classes and certifications to dabble in. 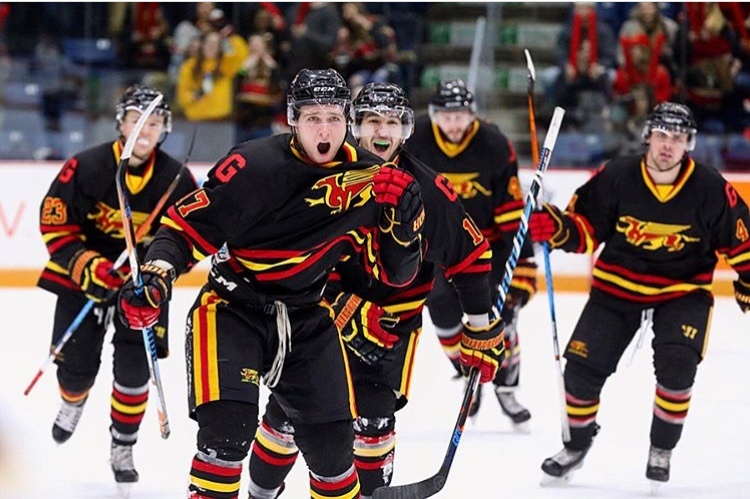 There truly is something for everyone in the world of athletics at Guelph. Interested in getting involved on campus while earning some cash? There are over 4000 employment opportunities right on campus. From being a tour guide or lifeguarding to taking on a work-study position or co-op placement, we’ve got it all! Check out the Student Financial Services website for work-study jobs on campus and visit Recruit Guelph to discover local job opportunities. Future Gryphons, these are just SOME of the many ways to be actively involved in the campus community. Talk to people, do some research and find your own ways to Improve Life once you’re here. We can’t wait to see the difference you’ll make in the world! Tips Tuesday – Episode 8: Fill Out the SPF! If you haven’t submitted your Student Profile Form (SPF) yet, what are you waiting for? Today we’re telling you exactly what you need to know about this valuable addition to your U of G application. Tip #1: You Only Get One Chance! You can only submit the SPF once, so make sure you’ve got all of your information ready when you sit down to complete the form. Preview the form, craft your answers and be sure to spell check before submitting! The last section of the SPF is for you to provide references we can contact to verify your information. You’ll need one school reference (i.e. a teacher, guidance counsellor or principal), and one community reference (i.e. a coach, mentor, etc.). Your OUAC ID (11 digits) and your University of Guelph ID (7 digits) are both required. Not sure where to find them? They’ll be in the email that you received after you applied to U of G! We review the SPF’s during the third and final round of offers. We want to see what sets you apart including extra-curricular interests and activities, volunteer positions, honours and awards. But what if there are things, that aren’t quite so lovely, that have directly impacted your academic performance? There’s room to include all of that too, and it will be taken into consideration should your admission average fall within a discretionary range of the determined program cut-off. This one is pretty self-explanatory. If you’ve received an offer from us, congrats! 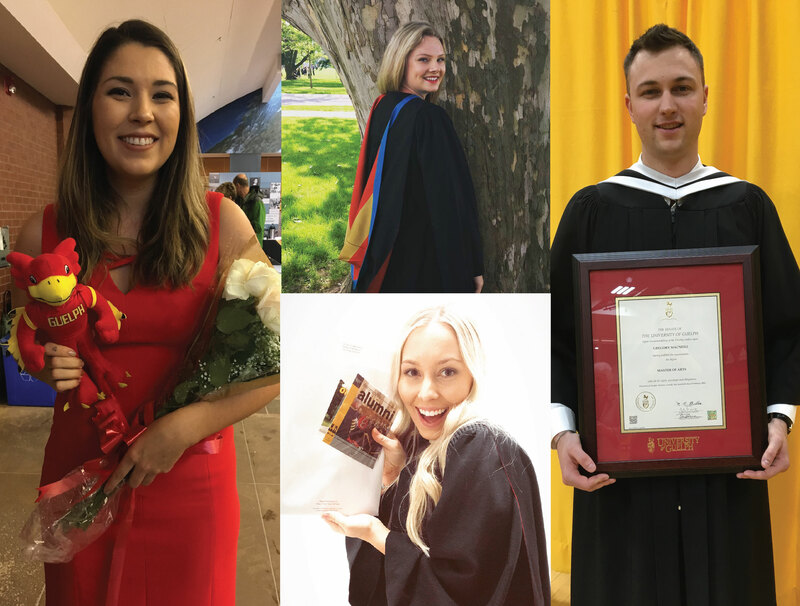 Check out our Gryphon Bucket List article to see what you can look forward to as a U of G student! Tip #6: Submit the SPF by the May 1st deadline! Unfortunately, we will not be able to process any SPF’s after the May 1 deadline so get it completed and submitted! Q – What was the "exact" cut-off average last year and what is it this year? A – It is not our practice to release exact admission averages. If your admission average met the required average, your application will be fully considered. During the 3rd round of offers in May, we also consider other factors, including the Student Profile Form and as a result, the averages of admitted students do vary. Q – Why have I not been admitted? My grades are higher than the estimated cut off average? A – The "estimated range" is just that – an estimate. The range that is published in the 2018 Admissions Viewbook is based on the admission averages from previous years and is provided solely as a point of reference. Admission averages are determined by the number and quality of applicants, as well as space availability within the program. Q – How many people are admitted to (for example) - the Bachelor of Applied Science - Applied Human Nutrition? A – Simply, if your admission average falls within our range, your application will be fully considered. The number of students admitted into each program, each year, depends on the year. Q – If I take summer school can I still be admitted? A – That will depend on whether or not your program choice at U of G fills and closes. In mid-June, the OUAC will list which Ontario universities still have open programs. NOTE: In the past, most of our programs fill and close prior to the summer so students should not count on being able to take a summer school course for admission. 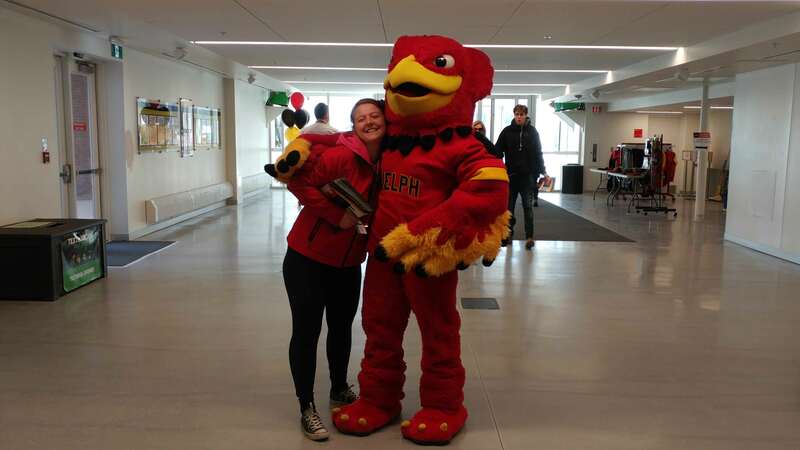 Q – I’m a high school student and I just figured out I want to apply to Guelph. Can I still apply? A – Yes, you can still apply! We are continuing to accept and process all applications which will receive full and equal admission consideration throughout the remaining admission cycle. NOTE: The exception is our Bachelor of Landscape Architecture program for which we are no longer accepting applications. Q – Can I accept an offer from another university? A – Yes, you can accept an offer from another university, but know that no Ontario university can require you to make that decision before the June 1st common response deadline. If, after accepting another university’s offer, you receive and want to accept a Guelph offer, you may do so through the OUAC but that will void your previous acceptance. NOTE: You can have only one accepted offer through the OUAC and you should do so by the June 1st deadline. Q – How do I accept my offer? A – You accept your offer through the OUAC. There is also a tutorial offered through the OUAC that students can access for support and assistance. Q – How do I defer my admission? A – You can apply to defer your admission by emailing your request to our Admissions office at admission@uoguelph.ca. You are not required to accept your offer in order to defer. The deadline for completion of this process is August 10, 2018 and it is a firm deadline. The cost of the deferral is $80. NOTE: Only high school applicants can defer. Students admitted to BLA cannot defer. Q – Guelph is really my only choice, is there anything more I can do to be considered for admission in the third round of offers? A – First and foremost, continue to study hard as grades are the first and main factor considered for admission. As well, in our Third Round of offers, we will also consider your Student Profile Form if you submitted one. The deadline for submission of the SPF is May 1, 2018 and we encourage you to fill it out if you have not yet received an offer of admission. Q – I applied to co-op, but I was admitted to the regular program. How do I get co-op? A – Your application for Co-op will be considered again in the May round of offers. However, if at that point in time, we are still unable to offer you admission to Co-op and you accept admission to the regular stream of the program, you will have another opportunity to apply for Co-op when you are in your first year of studies at Guelph. You will want to contact Co-operative Education & Career Services for more information. Q – I’ve already gained admission but didn’t get an entrance scholarship. Will my most recent grades be considered again for entrance scholarship eligibility? A – Yes, for entrance scholarships, we will automatically consider semester two, mid-term grades as well as your final June grades and final grades received for courses taken during the summer. You will be notified of changes to scholarship eligibility by Student Financial Services. Q – I've heard there are big changes to governmental financial support (i.e. OSAP) this fall. How do I learn more? A – Yes, you're right! If you are a new student, applying to the University of Guelph for Fall 2018, the Ontario Universities' Application Centre (OUAC) will provide a link to OSAP after you submit your application. The 2018-19 OSAP application is now available. Student Financial Services has a step-by-step guide on ‘How to Apply for OSAP’ for full-time students, part-time students, and summer students, available on the Student Financial Services Website. There you have it Future Gryphons. If you don't have an offer yet just keep working hard, maintain those grades, and fill out that Student Profile Form! As the university semester comes to a close, many of our Gryphons are feeling nostalgic and reflecting on the campus traditions they took part in. 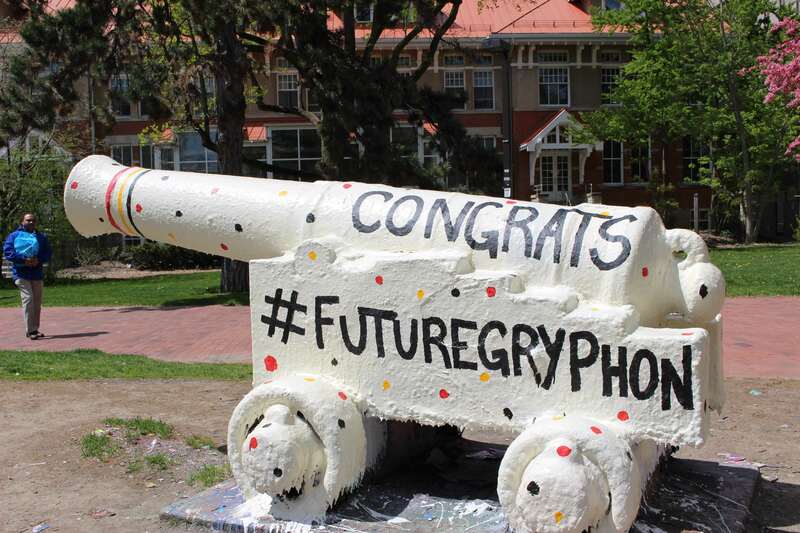 Future Gryphons, we want you to look forward to taking part in these same traditions, which is why we’ve put together a Gryphon Bucket List for you! Today we’re breaking down the unique experiences that you can only get at the U of G. How many will you take part in before you graduate? The Gryphon Football home opener happens every September. You DO NOT want to miss it Future Gryphons! Pep Rally is an Orientation Week Tradition. Get hyped! 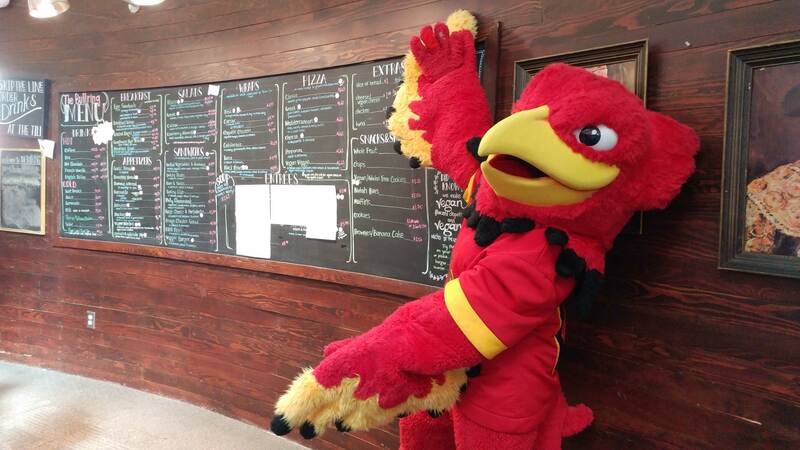 In case you didn’t know, Gryph is our mascot. He LOVES a good photo-op so don’t be shy when you see him. U of G was given the award for “most outstanding” intramural program by the Canadian Intramural Recreation Association. We know how to “intramural”. If sports aren’t your thing, we’ve got over 200 clubs, so you will definitely find something that suits you. There’s nothing better than a sunny day on Johnston. Grab some friends and soak it in! We think it’s pretty amazing that over 9km of walking trails exist right on our campus! Showcase your Gryphon pride the right way. Bonus: Swag is perfect for holiday gifting, too! Student Learning Groups are amazing! There’s usually one for each course and they really help you nail down what you’re learning in class. We have a brand new athletic centre just waiting for you! Your Central Student Association shows a different movie every Sunday night in War Memorial Hall! Downtown. Every Saturday. Rain or shine. They exist for a reason so take advantage! This is a great way to get a firm understanding of material. Our varsity teams are amazing! Show them some love. Another Gryphon tradition is passing along used textbooks for a fraction of the price. Buy, sell, trade, save! You seriously cannot graduate without meeting Bob. He’s got it all; hot dogs, sausages, veggie dogs and a heart of gold. Get to the Brass Taps early on Tuesday evenings because trivia night fills up quickly! No, we’re not talking about your last class of the year (although you should definitely attend that too)! The Last Lecture is a chance for graduating students to come together and reflect on their university experience. It’s a great way to end your gryphon journey. 20. Graduate a proud Gryphon! Once a Gryphon, always a Gryphon. 4 years will pass before you know it Future Gryphons! It’s that time of year again—finals are quickly approaching and the end of the semester is in sight. At U of G, we want to keep our students mentally and physically healthy during the exam period so they are able to do their best. To help combat stress, our Library Team develops a list of activities each semester to help students take a study break, refresh their minds and stay motivated. These events are supported by various campus groups such as the Student Support Network and the Wellness Education Centre. We call these activities “Stress Busters” and they are FREE and open to all students. How about a colouring contest? Would playing with slime calm you down? We offer these activities and more each exam period so you have a little something to look forward to in an otherwise study-filled time. 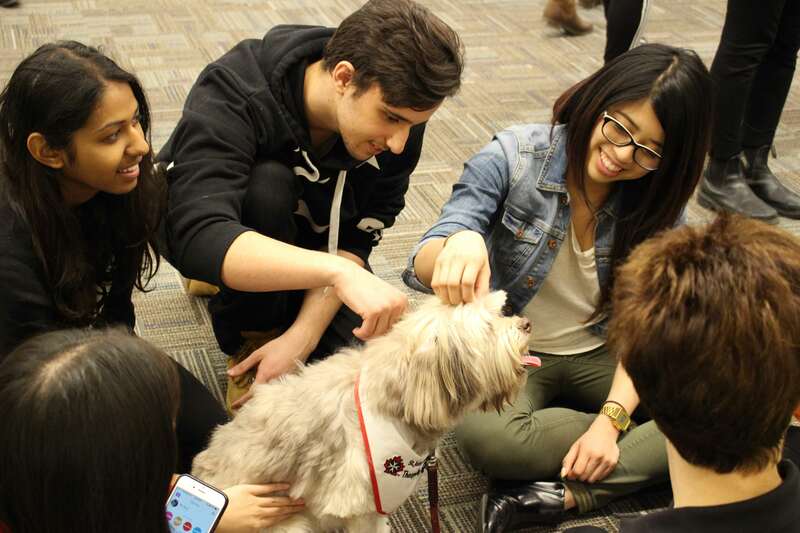 Did we mention our “Take a Paws” event brings in therapy dogs for students to cuddle? There’s just something about puppy cuddles that really calms us down. 1. 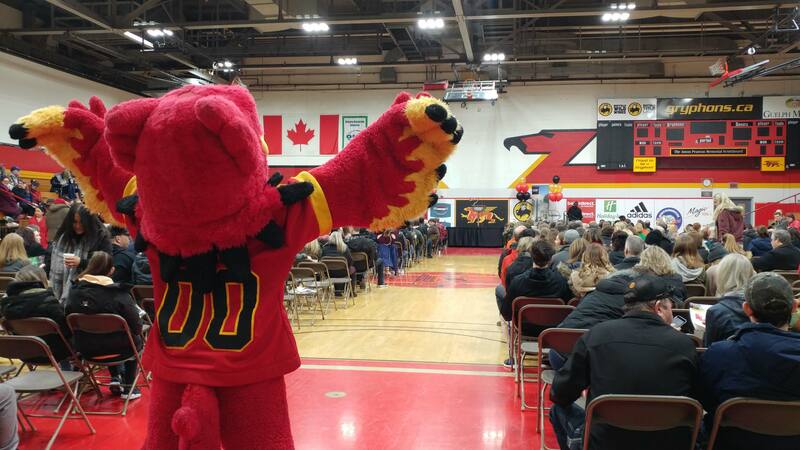 We welcomed over 2,100 Future Gryphons! We had a blast showing off our beautiful campus and chatting with prospective students about our favourite place; the U of G! After receiving a warm welcome, our U of G Ambassadors lead group tours around campus and our academic facilities. Prospective students were able to check out classrooms, labs and study spaces and even observed some demonstrations. If you couldn’t make it, don’t panic! Tours are still available until April 6th with spring and summer tours resuming from April 30th – August 17th. Visit our website to book your tour today. 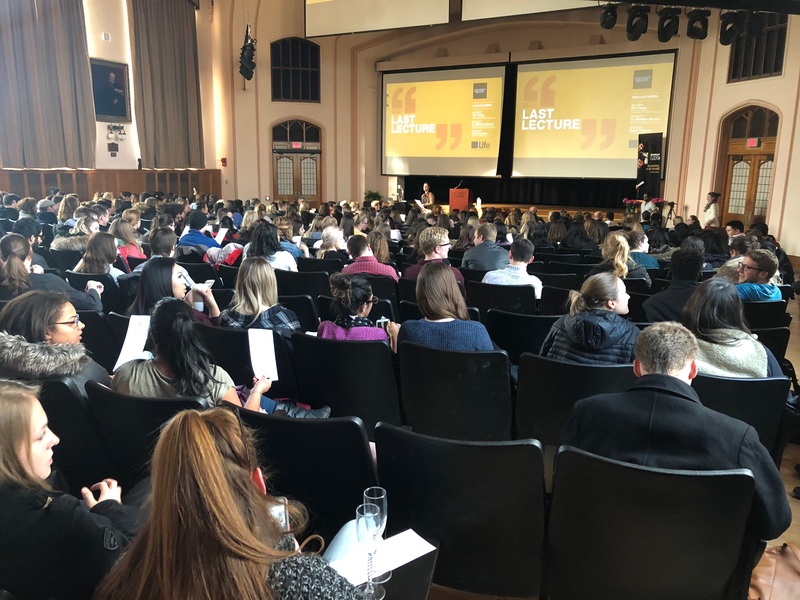 We had current students, faculty and university employees on hand for most of the day answering questions and sharing their university experience with Future Gryphons. out our Campus Services article for a breakdown of student resources offered to U of G students. It helps to be able to picture yourself living somewhere and on Sunday, this was possible through residence drop-in tours. If you couldn’t make it, be sure to check out our 360 degree virtual residence tours on the housing website! You’ve likely heard us brag about having the best food on any Canadian university campus and Future Gryphons were able to confirm this for themselves! If you’d like to try our incredible food, book a tour today and check out our recent article breaking down our amazing campus eateries before you visit. If you weren’t able to make it to Campus Day, check out our re-cap video and picture yourself here Future Gryphons! At the U of G we offer Majors, Minors, Co-op streams, Areas of Emphasis and more; but what does it all mean?! Today we’re answering your most frequently asked questions about Minors. Q: What is the difference between a Major and a Minor? A: A Major is your main area of study within a degree program. For example, Bio-Medical Science and Neuroscience are Majors within the Bachelor of Science program. A Minor is an optional secondary area of study that can either be related to or different from your main area of study. A Major involves intensive focus on a specific discipline, while a Minor provides an introductory level of education on a discipline. Q: When can I declare a Minor? A: Minors can be declared once you have started your university studies. See the answer below for how to do this. Q: How do I declare my Minor? A: You can declare your Minor by meeting with your program counsellor when you’re on campus. A quick search on the U of G webpage will tell you who your program counsellor is and their contact info. Q: What pre-requisites do I need for my Minor? A: There are typically no mandatory pre-requisites to declare a Minor, however you are going to want to make sure you have an understanding of the basics before going all-in. For example, if you Major in Commerce but decide you want to Minor in Biology, we’d recommend you take grade 12 biology so you have a basic understanding of the subject (and to make sure you actually like it!). Q: Do Minors have required courses? A: Typically you are required to take 5.00 credits towards a Minor. Check out the 2018-2019 Undergraduate Calendar for a complete breakdown of requirements for specific Minors. Q: What Minors are offered at U of G? A: A complete list of Minors can be found on our website. Q: Can I Major in science and Minor in Arts? A: Yes! Check out the B.Sc. Academic Advising website for information on how to do this. Q: Can I do more than one Minor? A: You’re in luck! All Bachelor of Arts & Sciences students choose two Minors – one in Science, and one in the Arts or Social Sciences. Each minor will be made up of a minimum of 5.00 credits, or approximately 10 courses. If you are interested in both the Arts and the Sciences and can’t choose between the two, this is a great program choice for you! The best part is you don’t need to specify your two Minors until the end of second semester so you have flexibility to sample different courses in first year. Q: Are Minors available for every program? A: There are a couple programs where Minors are not possible in the regular course of study because of their applied and structured nature. You may still choose to do a Minor in the following programs, however it will extend your degree beyond the 4 years. We hope this answers some of your questions about Minors, Future Gryphons. If you have additional questions about our programs or would like to tour our campus, come on out to Campus Day this Sunday, March 25th and speak directly with current students, professors and admission staff. Campus Day is on Sunday, March 25th Future Gryphons, so we’re sharing how to make the most out of your day. Our Academic Resources Fair will have professors and current students on hand to chat about program specifics and to answer any questions you have. This is your chance to hear firsthand about student experiences, so don’t be shy! Each program will be hosting a half hour session covering the basics on course requirements and academic opportunities. Visit the Campus Day webpage to plan your visit using our session schedule. Thinking of applying to Bachelor of Science? You’ll get the chance to tour our Science Complex and see the labs you’ll be working in. Considering Studio Arts? Tour the studios in the Arts building; Zavitz Hall. Engineering? Thornborough is ready for you to visit. Commerce? The newly renovated MacDonald Hall is open for you to explore. Most academic buildings will be offering presentations and demonstrations, so if there is something specific you want to see, check out our online schedule and make note. Experience the beauty of campus in the spring. Check out our residence halls, dining facilities, historic and modern academic buildings, and see our state-of-the-art athletic facilities first-hand. Tip #5: Try our food! U of G food has been ranked #1 on any Canadian university campus for over 10 years. Our most popular campus eateries will be open for you to try on Campus Day. Read our recent article for our must-try dining locations! Simply arrive at the marked entrances to our various residence buildings and allow a tour guide to show you around. This is a great way to picture yourself in your future home before applying to residence. Campus Day will also offer student service sessions. Learn more about living on campus, financing your education and our accessibility services. The University Bookstore will be offering 15% off all regular priced clothing and giftware for Campus Day. 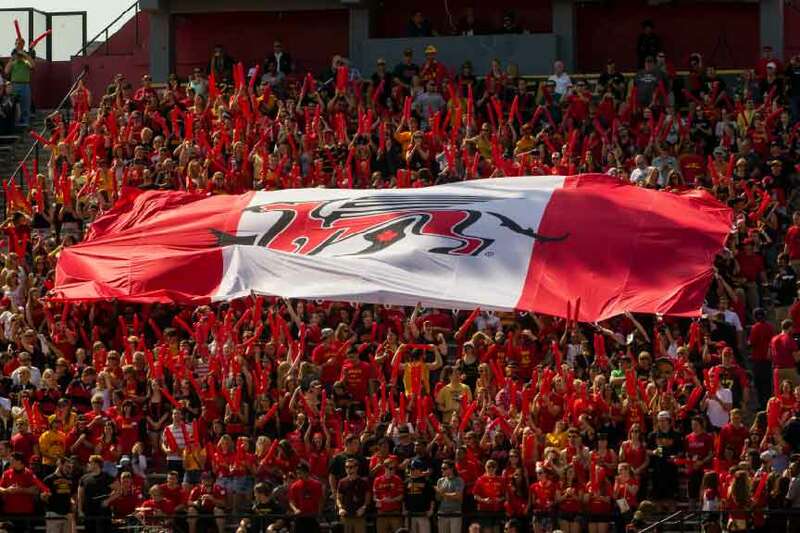 We want all Future Gryphons to represent U of G! Tip #9: Share your excitement! We’ll be covering the day on social (Snapchat, Instagram and Twitter); follow “uofgadmission”. We’d love to see your excitement! Send us your Snaps and share your pics on Instagram using the hashtag #futuregryphon. Stoked? We are. And because there is so much going on, we encourage you to visit our Campus Day event page to register and plan your day. See you on Sunday Future Gryphons!